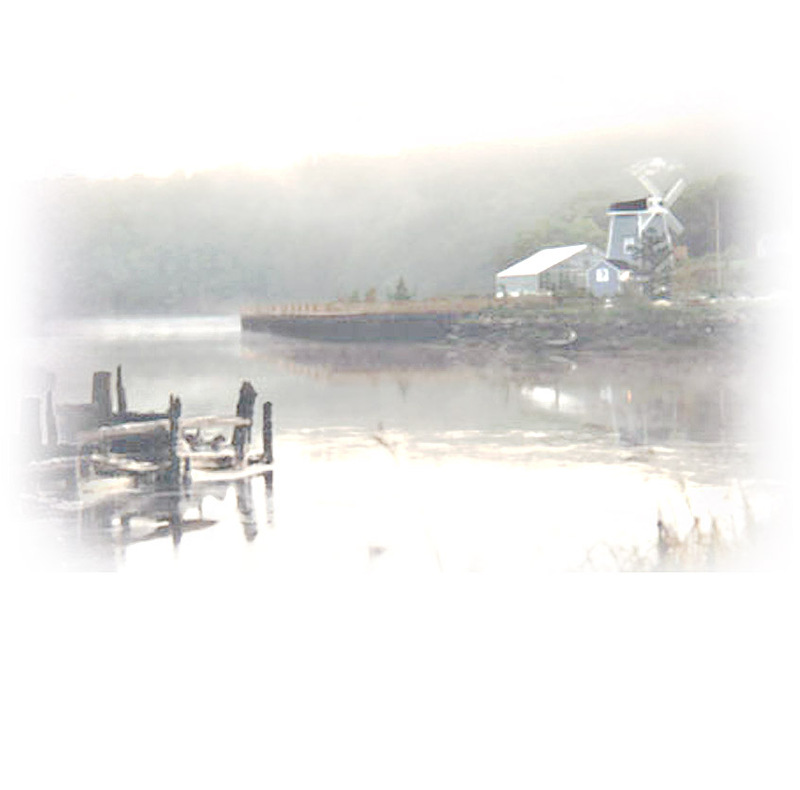 Bear River is a tiny village in rural South Western Nova Scotia, Canada. Its quaint buildings are quietly nestled in the lush, green rolling hills within a deep valley through which the Bear River flows. A tidal river, the Bear River rises and falls close to 30 feet, twice daily and empties four miles further towards the coast, into the Annapolis Basin. The river itself forms the boundary between Annapolis and Digby Counties, so the village is split between the two counties. A shortage of available building space in the village center led to the use of the water itself as a means of meeting the needs for store and warehouse accomodations. Buildings on stilts were a remarkable example of mid air building techniques used by early builders. A few of these architectural marvels remain jutting out over the river even today. The village of Bear River is a photographer�s and naturalist�s dream. Its quiet beauty is incredible in every season and particularly resplendent in the fall as the leaves are tinted with intense golden and crimson hues. The loon�s solemn cry can often be heard echoing off the river during the still hours of the night. Visitations by birds and game of many varieties, such as Canada Geese, cranes, ducks, ospray and eagles may be seen soaring in the sky and in the river. Bear River is also the haven for many artisans. The quiet atmosphere and beauty of the area is both a comfort and an inspiration for many. There are a number of studios and gift shops in the area as well as an Art Gallery located in A Flight of Fancy on Main Street. There will be music and refreshments. Come all alumnni and join in. Cherry Carnival will be held Saturday July 17, 2010. -is one of Nova Scotia's smaller events, but visitors can enjoy the small town hospitality as well as the ox pulls and great local entertainment. This event takes place in late August.